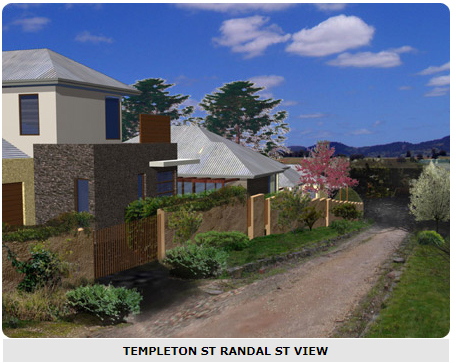 Templeton Street Castlemaine – A 2000m2 lot in central Castlemaine represented an excellent development opportunity. The site was formerly part of the former convent. The site was located in a Residential 1 Zone with a Heritage Overlay that encompassed a broad area that surrounded the site. The site abutted a ROW and was surrounded by a brick wall that originally defined the former convent playing grounds. 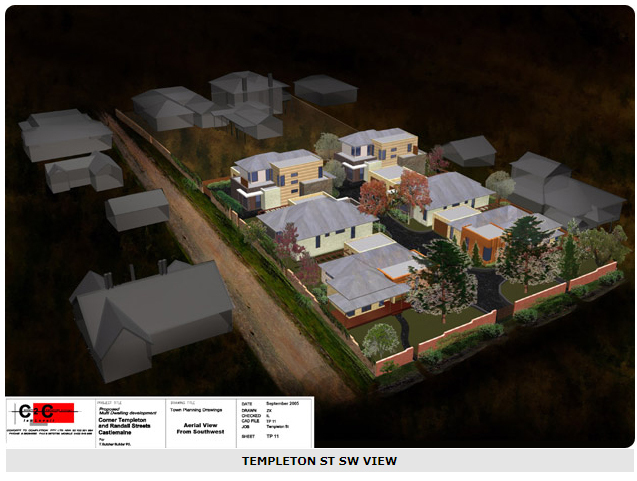 This was the second planning application, with the first proposal of 6 dwellings (4x 1 & 2×2 storey) being refused at VCAT on the issue of neighbourhood character. 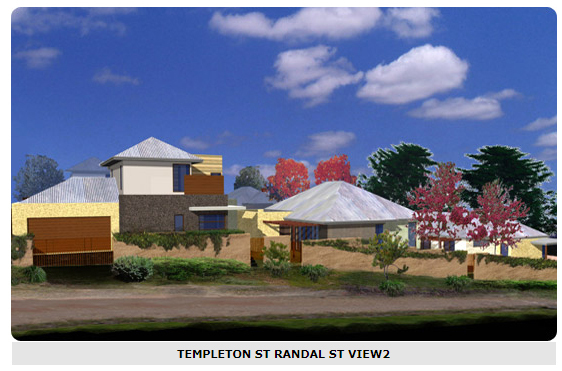 The second proposal revised the design to include 4 single storey dwellings. The development was designed by Concept to Completion.